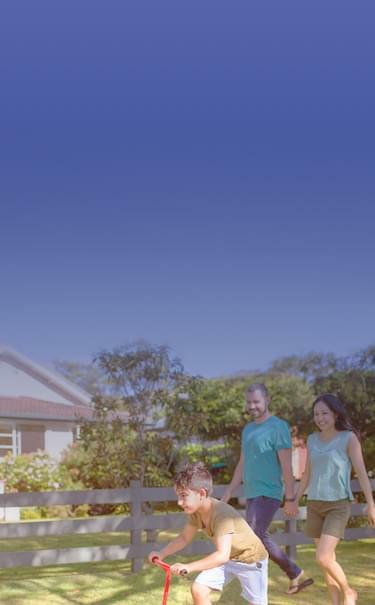 Compare, choose & settle with Australia’s number 1 online home loan platform. Compare in 30 seconds. This will not affect your credit rating. Home loans are complicated. We make them simple. Home Loan Specialists match customers with the right loan and help you get approved faster. It pays to shop around. We match you with the right loan for your specific needs and preferences. Sit back and relax. Once you've chosen your loan, we'll submit, package and guide it all the way to settlement. There is no such thing as a stupid question. We're here to share unlimited advice every step of the way. Upload your documents online and get approved faster. You can check your loan's progress 24/7. From start to finish the service we received from Lendi was fantastic and beyond our expectations. They were able to save our young family nearly $500 a month by switching home loans and getting us a much better interest rate. Highly recommended. Our Home Loan Specialist was very professional in assisting us processing our loan. Excellent customer service delivered in a timely manner. Well done and thank you. Thank you Lendi. We get the keys to our new house today and your persistence for us is what's made our dream a reality. Best service ever. Being first home buyers, we had never been through a mortgage application. Lendi made the process extremely simple and everything went smoothly. It only took 13 days from the time of putting an offer on a property to having formal approval. Highly recommend Lendi to anyone looking at obtaining finance. Lendi did all the work. Being in the 40 plus age group I was a little nervous doing everything online, but all my concerns were lifted as I was guided through the whole process. Lendi didn't push. We were able to take things in our own time and we have ended up with an amazing result. We couldn't be happier! The team at Lendi did a fantastic job, I will definitely recommend to anyone wanting a better loan for there family. Tell us a bit about yourself and we'll find better loan options to match your needs. Discover how much your property, or one you're interested in is worth. Estimate how much stamp duty you might need to pay for a property. Our experts will help you search, choose and settle your home loan online. Chat to one of our Home Loan Specialists at a time that suits you. Ready to discover the right loan for you? Tell us a bit about yourself and we'll match you with low rate loan options from over 35 Australian lenders in seconds.